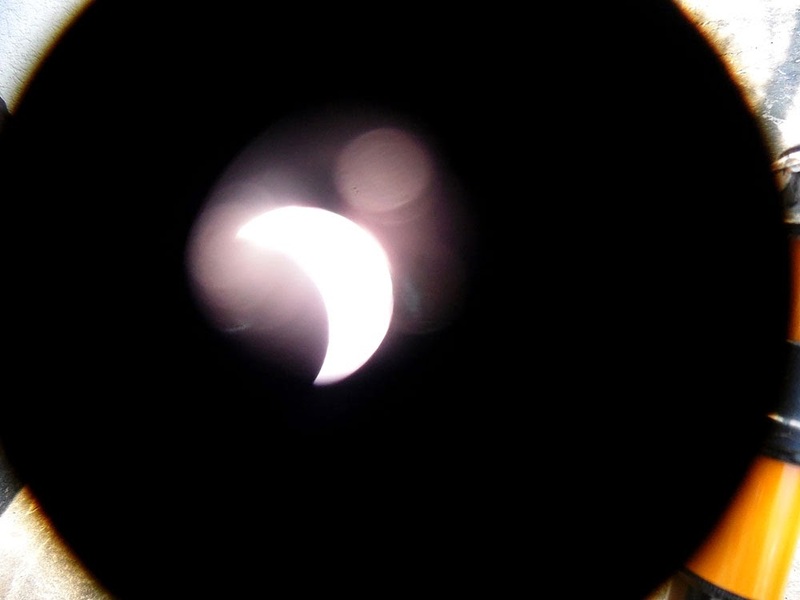 There also happened to be a Solar Eclipse, which at our location started at 09:38, was at a maximum of about 75% occultation at 10:47, and ended at 11:58 (Central European Time). 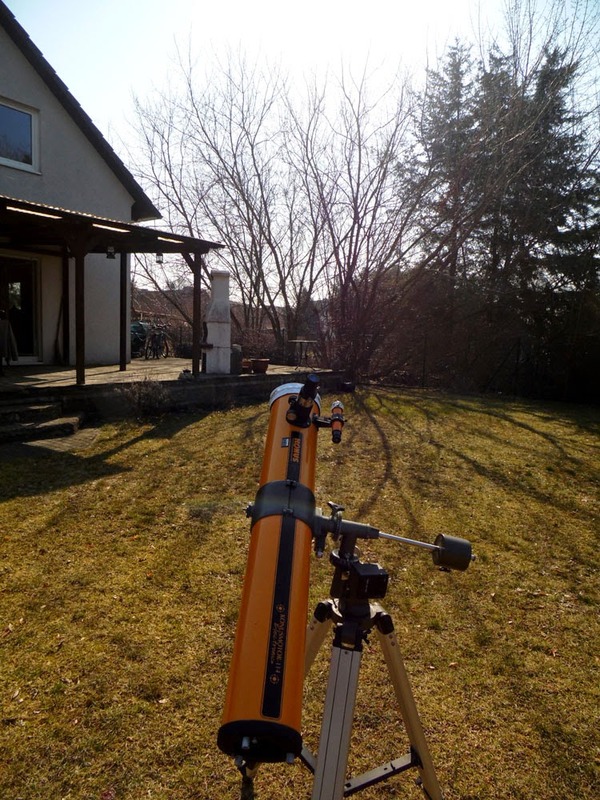 Die Basdorfer Sonnenwarte was set-up (in our back garden) and ready to go! 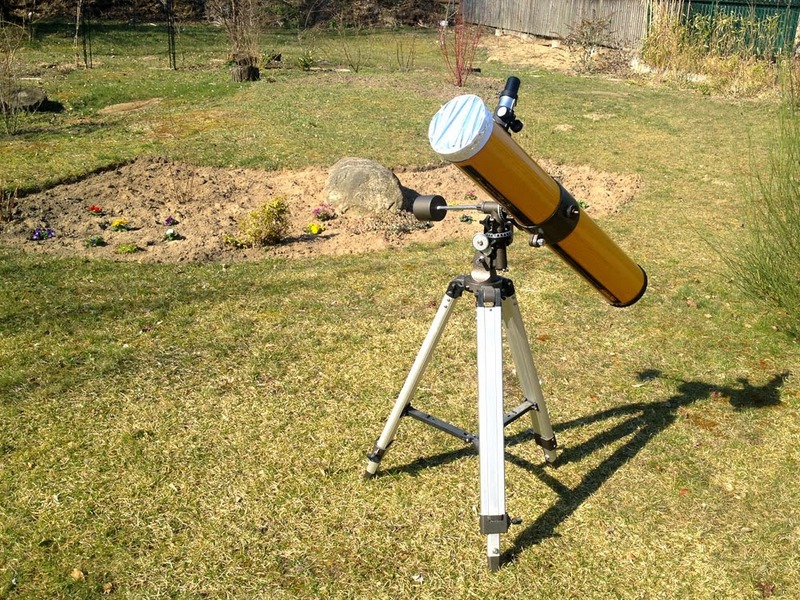 Note that of course you MUST have a solar filter on your telescope before looking at the sun through it! Never-the-less I still ended up with quite a few after-images dancing on my retina after trying to point the telescope in the right direction. Luckily there were clear skies, and the sun was just above the trees so I could get a clear view. The light was perceptibly dimmed during the eclipse, and birds in the garden were clearly puzzled, but otherwise it seemed just like an overcast day. There weren't any power outages caused by disruption to German solar energy farms like some scaremongers in the press were predicting. Because we are now educated, civilised people we didn't bang drums and shout at the dragon-wolf monster gobbling the sun, but I did play a blast of Rammstein and that seemed to do the trick of scaring it off! An auspicious start to the beginning of Spring; let's hope that it all gets better for the World from here in! Help the European Wild Cat!